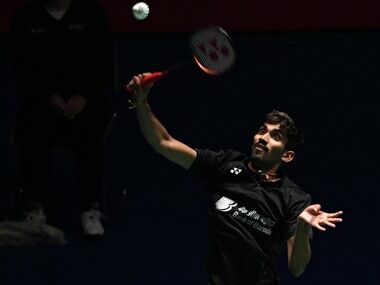 For once, the weakest link in Indian badminton proved to have been forged in steel, as the doubles combination of Satwiksairaj Rankireddy and Chirag Shetty made the semi-finals of the French Open World Tour Super 750 badminton championships, even as the highly fancied singles trio of Kidambi Srikanth, Saina Nehwal and PV Sindhu crashed out of the $775,000 prize money event in Paris. Rankireddy and Shetty easily quelled the challenge of compatriots Manu Attri and Sumeet B Reddy by a 21-17, 21-11 scoreline in a minute over the half-hour mark, to qualify for a semi-final meeting on Saturday with the top-seeded Indonesian pair of Marcus Fernaldi Gideon and Kevin Sanjaya Sukamuljo. In the process, the younger combination gained sweet revenge for their narrow reverse at the hands of Attri and Reddy by a 24-26 third-game decision at the November 2017 Indian Nationals in Nagpur. Both the Indian pairs had made the last-eight grade with noteworthy victories over much higher ranked pairs. 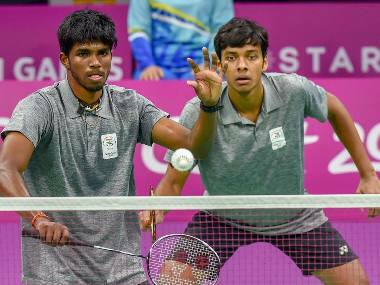 Attri and Reddy were in outstanding form as they slashed through the defences of the third-seeded Chinese pair of Zhang Nan and Liu Cheng at 21-14, 21-16. The Chinese duo had easily eliminated the former World No 2 duo of Carsten Mogensen and Mathias Boe in their opening round, so could not be considered to be rusty. Also in Thursday’s second round, Rankireddy and Shetty had knocked out China’s He Jiting and Tan Qiang by an impressive 21-13, 21-19 scoreline. The Chinese pair had been responsible for the elimination, in their lung-opener, of the fifth-seeded Danes, Kim Astrup and Anders Skaarup Rasmussen. The performances of the two Indian pairs showed that the doubles game in the country has made big strides under the tutelage of Malaysian coach Tan Kim Her. However, the singles stars, of whom so much had been expected, disappointed sorely, with straight-games losses in Friday’s quarter-finals. Defending champion Kidambi Srikanth, who has not won a single title on the world circuit this year, after figuring in five Superseries finals and bagging four crowns in 2017, came to grief yet again at the hands of his nemesis, recently crowned world champion Kento Momota of Japan. 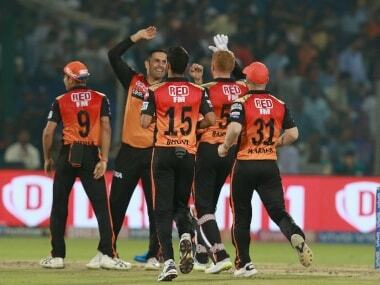 Srikanth had his chances in both games against the top-seeded left-hander. He kept pace with Momota until 12-all in the first game, matching the speedy Japanese in both court movement and strokeplay, and defending cleverly against Momota’s overhead sideline smashes with deft turns of the wrist that carried the bird across court at the net, out of the southpaw’s reach. 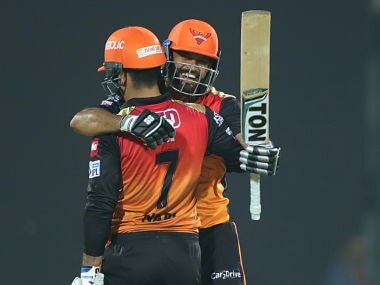 The 25-year-old Guntur lad was seen at his best midway through the second game, when he neutralised a 10-17 deficit with a nine-point burst, to actually power ahead to 19-17. Srikanth faltered at this stage, when he seemed all set to take the match to a decider, and a lucky netcord by Momota at 20-19 sealed the issue in the Japanese player’s favour, taking his head-to-head record against the Indian to 10-3, with consecutive victories in their last seven meetings. Much was expected of World No 10 Saina, particularly after she had eliminated 2017 world champion, Nozomi Okuhara, in the second round, in their second meeting in the space of a week. The Haryanvi’s hard-earned 10-21, 21-14, 21-17 victory in 72 minutes over the diminutive Japanese ace took her into a last-eight joust against her toughest rival in international badminton, top seed and defending champion, Tai Tzu Ying of Chinese Taipei. For a while, it appeared as if Saina had worked out the Tai puzzle as she held strong leads of 16-9 and 20-16 in the opening game. The 28-year-old Indian was in sparkling form against the long-reigning World No 1, and was able to read all of her rival’s deceptive drops and variations at the net. But once Tai really settled into the match, and began moving Saina all over the court with her patented deceptive toss-drop pattern, things went downhill for the Indian. If anything, that 20-16 lead in a quarter-final proved to be a jinxed combination for Saina, as she had lost recently at the same stage of the Korea Open to Japan’s Nozomi Okuhara, after holding four match-points. As Tai pulled in the slack, point by point, Saina’s legs began giving way, in the face of her long-drawn encounter against Okuhara the previous day. Once Tai won the opening game over the extra points, she simply ran away with the second, for a 22-20, 21-11 triumph in 36 minutes. The Indian veteran now trails the Taiwanese 5-14 in career meetings, and has lost their last dozen encounters in a row, since the 2013 Swiss Open, which remains the most recent of Saina’s wins over Tai. It is becoming increasingly apparent that, even if the Indian is fresh and well rested, and in top physical shape, she will find it difficult to counter the wiles of the Taipei star. As for the third-seeded Sindhu, this has been a particularly difficult year for her, with losses in the five finals that she has contested in 2018, added to the two finals she had lost in 2017. 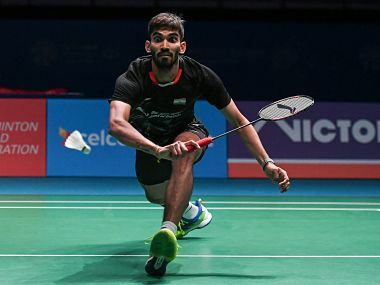 The lanky Hyderabadi, who was installed World No 2 in the Badminton World Federation (BWF) rankings that came out on Thursday, lost a drab 40-minute encounter at 13-21, 16-21 to China’s He Bingjiao, producing a performance littered with unforced errors and inability to pick up the sharp drops at the net. The inconsistent 23-year-old Indian trails the Chinese left-hander 5-7 in career meetings, having lost the most recent two matches to Bingjiao in straight games. The drop in her form has coincided with Bingjiao’s resurgence, as a fresh young bunch of Chinese girls looks to take over at world level from the likes of Wang Yihan, Wang Shixian, Wang Xin and Li Xuerui, who dominated international badminton for the first half of the ongoing decade.